Russia – Founded in 1939, the Penza Regional Philharmonic is one of the most prestigious philharmonic organisations in Russia. 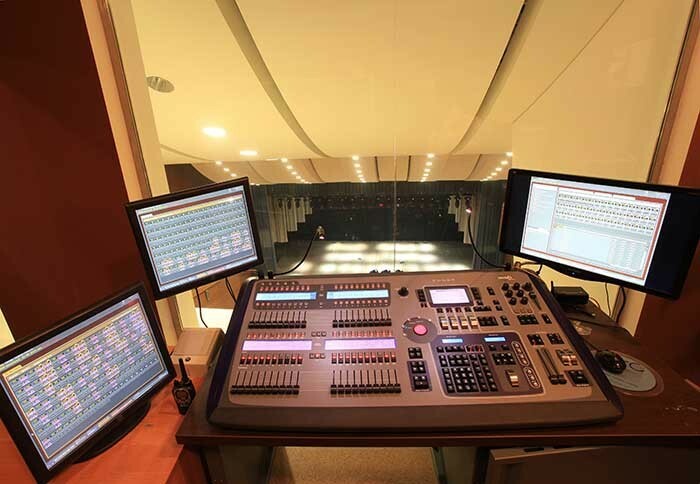 Thanks to a large equipment upgrade, installed by ETC dealer Imlight, its theatre is also one of the most technologically advanced. 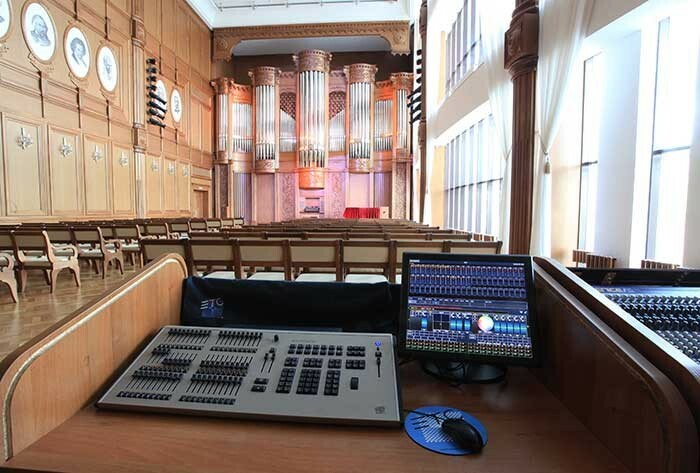 The Philharmonic marked its 75th anniversary with a new lighting system that includes ETC control desks, networking, architectural controls and power controls. 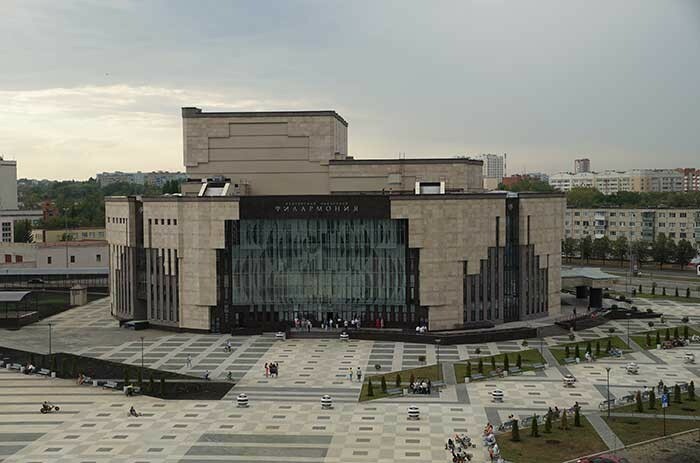 The Philharmonic’s current theatre was built in 2009, in preparation for Penza’s 350th Founders Day. 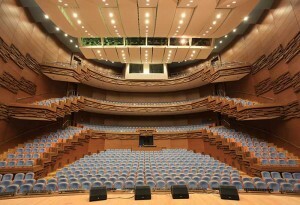 It houses the philharmonic ensemble and symphony orchestra and plays host to yearly musical festivals and touring shows. The five storey, 20,000 square metre (215,278 square foot) venue is known for its unique architecture that features a glass exterior and an entryway adorned with the names of famous composers. It has rehearsal spaces, costume shops, a recording studio and two music halls: the 750 seat Great Hall and 200 seat Organ Hall. The Great Hall is outfitted with 500 conventional and LED lights, including ETC Source Four PAR and PARNel fixtures. A Congo desk controls the lighting in the space, with a Congo jr desk as backup and an RFR for remote programming. A Sensor3 system provides power control, Net3 Gateways are used for networking, and architectural lighting is handled by a Unison Paradigm system. 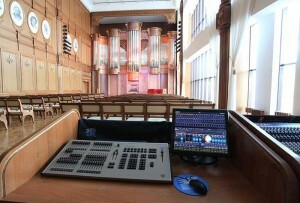 In the Organ Hall, an ETC Element control desk sits at the head of the lighting system. Its hybrid rig boasts more than 100 fixtures, including Source Four LED, Selador Desire D40, Source Four, Source Four Zoom and Source Four PARNel fixtures.